Drone Attacks or Corruption: Which one is the real issue? Pakistani politicians are habitual of running politics by exploiting sentiments of common people. Their politics are based upon populist and sentimental ideas and ignoring the core issues. 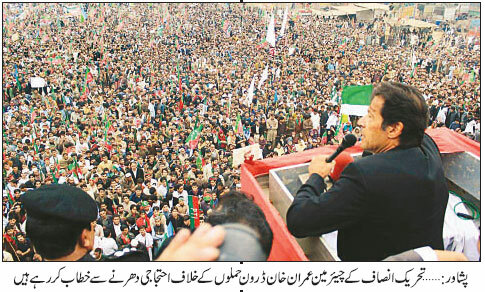 The recent example is of Imran Khan’s protest against the drone attacks. Earlier, Nawaz Sharif was of similar opinion until he came into power. 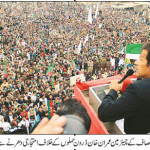 He was also demanding from the Zardari’s government to strike down the drones. Undoubtedly, they all are cheating the nation by diverting the nation from the real issues. The real issues are that Pakistan does not have pure drinking water, lack of electricity and gas, and the corruption which has steeped in the blood of Pakistanis. Sadly, it has never been observed that any of the political parties initiated a mass movement against corruption. Of course, protesting in a meaningful way does not go in their interest. – so they will never protest against it. Most of the major politicians in all political parties are corrupt and plunder the national wealth whenever they get the opportunity. It is quite usual that the parties who are not in power use the slogan against drone attacks as an attack on Pakistan’s sovereignty without taking into account the ground reality. Can a country have any sovereignty whose political parties seek to obtain the backing of the US government to come into power? Can a nation protect its sovereignty, whose people are suffering from basic needs and the elite class transferring their wealth abroad? Can a nation call itself a sovereign nation, when the killers of thousands moving freely in the country and living in the posh areas of Islamabad, Rawalpindi, Karachi and Lahore? Politics on drones is, as a matter of fact, politics of slogans and playing with the sentiments of common people. No one can say that drone attacks are legitimate but can these corrupt politicians stop it who hardly show any interest in the daily miseries of common people. Can a nation demand respect for its sovereignty whose corrupt leaders travel to other countries to beg for more money to run the daily affairs of the state? And, once they receive money, they swindle. Imran Khan and his supporters such as Jaamat-e-Islami demand that we should negotiates with Taliban and similar other groups but do not say on what grounds. A few months ago, when there was hype that the Nawaz’ government would initiate negotiation with the terrorist groups, the spokesman of these groups never said that the major issue was drone attacks but the real issue, in their eyes, was the constitution of Pakistan. They numerous times stated in their press statements that they did not recognize Pakistan’s constitution and would be interested to implement sharia (Islamic law). So, it was not the drone attack, in which a terrorist Hakimullah Mehsud killed, that had sabotaged the process of negotiation (if there was any) with the Jihadies, rather the fact is that there was no consensus on the points on which negotiations would take place. It is quite hilarious, that the so-called religious political Parties’ leaders Munwar Hussain (Jammat Islami) and Fazal-ur-Rehman (Jamiate-ulmme-Islam) are portraying terrorists as heroes of Islam and Islamic values. And, it is quite distressing and frightening that secular parties like Pakistan Tehrik-e-Insaf foolishly supporting their ideas. Whose Islam they wish to implement, nobody knows. There are so many Muslim sects in Islam and so many interpretations. Among these groups, there is hardly any consensus on Islamic laws except to put more restrictions on women’s rights, introduction of Islamic punishments, and suppression of freedom of speech. In reality, they want a monarchy type government in the name of Islam, which provides them and their decedents’ eternal power and authority. Moreover, these Jihadi people do not wish to implement Islamic laws in the country, which is evident from their living style. 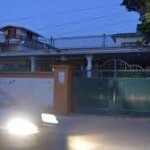 They move in expensive cars, live in big bungalows and lead a luxurious life without paying attention to the poverty of their followers – Newspaper reports are that the house where Hakim Ullah Masood lived, its cost was around one million US dollars and the other terrorist, Naseer.Ud.Din Haqqani, lived in an expensive area of Islamabad (see the photo of the house). Except growing beards and long hair, their lifestyle is hardly different than any capitalist class political leader. How these Jihadis are freely moving into the country, it appears that US accusations are, to some extent, correct when they argue that the terrorists are being supported by the government machinery, especially the military. 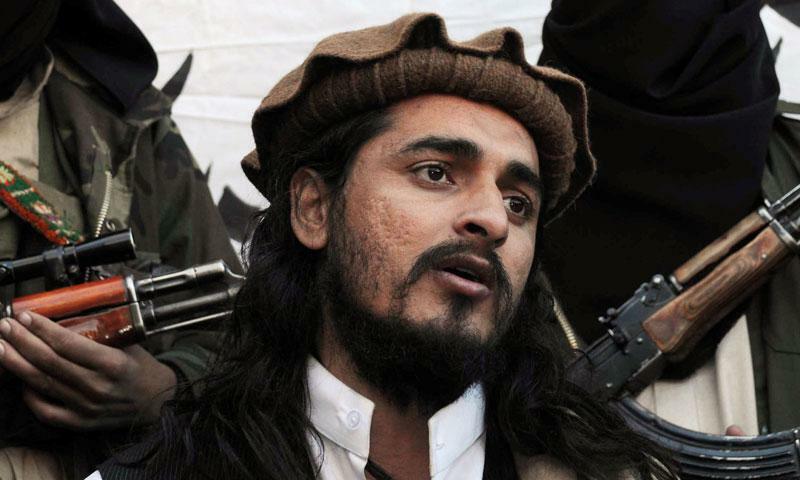 A recent killing of a terrorist Naseer-Ud-Din Haqqani in Islamabad provides further support to US accusation. 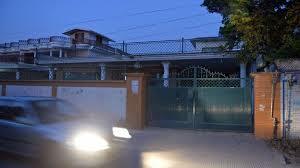 How is it possible that a terrorist living in a big house in Islamabad and nobody knows about his whereabouts? 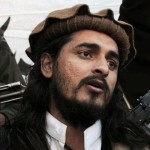 How is it possible that the government does not know the whereabouts of Hakimullah Mehsud Masood who was killed in the drone attack? Quite a few people in Pakistan trust Imran Khan that he could put the Pakistan on the right track of development, however, observing his politics and priorities, it does not seem that he would be able to do so until he changes his approach. Imran Khan must modify his priorities and address the real issues such as corruption, which is the main obstacle to develop the country. He will draw more popularity, if he gives sit-in and blockade the roads against corruption. We have wasted 20th century in enmity with India, and now have found another enemy. Drone attacks will stop and Pakistan will automatically turn into the sovereign state once we able to eradicate corruption from the system.